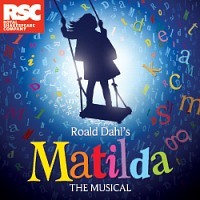 Matilda the Musical is a multi award-winning musical based on the classic Roald Dahl novel, "Matilda". The musical musical adaptation features a book by Dennis Kelly, music and lyrics by Australian funny-man Tim Minchin. In 2012/ 13, there was barely an award ceremony that the show did did not win in at least one category. As of 2013, the show holds the record for the most Olivier awards won by a musical (seven).